There is no doubting the importance of animal research. 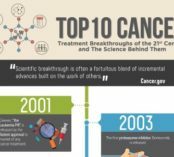 A great many medical breakthroughs have relied on it. Nearly every Nobel Laureate in Physiology or Medicine has made use of animal data for their research since 1901. Animals have similar organs, and suffer from similar ailments, making them useful for devising treatments that will eventually benefit humans. With this in mind, it's obvious why mice are so commonplace in labs across the world. Even though animals are used to gather data, it is important to balance this pursuit with particular ethical concerns. 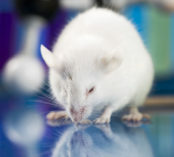 Mice, after all, are living creatures, and using them in research is a privilege granted by society to the research community. Treating animal specimens humanly should be just as significant a priority as deriving results from the tests performed on them. For that reason, here is a brief overview on some of the things researchers can do to provide a humane environment for their lab mice. This list is by no means exhaustive, but it should serve as a "jumping off point" for anyone who wants to get acclimated with some of the central concepts of ethical lab animal treatment. For any implementation of ethical treatment procedures to work, staff has to be adequately trained to follow guidelines. This training must cover a range of principles, and may vary depending on a team member's specific function. There will, however, be plenty of overlap. Institutions should be responsible for providing the necessary training to personnel who handle lab animals. This is in addition to whatever college programs or certification programs a team member may have completed in the past. Acquiring Lab Animals: There are federal and local ordinances that should be followed in regards to the acquisition of lab animals. It is important to research the relevant ones and follow them precisely. Whoever is responsible for transporting the mice to a facility should make certain that they provide plenty of food, water, space, and air for the animals while in transit. One should avoid placing undue stress on the animals. If possible, the number of animals necessary to complete a research project should be limited. Handling Lab Animals: This encompasses a broad range of actions. It includes, but is not limited to, things such as surgical procedures, subjecting animals to aversive stimulation, performing behavioral studies, and euthanasia. There are some broad rules to follow that are relatively intuitive. For one, researchers should minimize discomfort whenever possible. If using a method that requires no aversive stimulus is feasible, it should be the first option. If it is only possible to achieve results by subjecting lab animals to some stress, one should ensure that the justification is sound, and the animal undergoes as little trauma as is allowable. For surgical procedures, one should ensure that they performed under the watchful eye of a skilled professional. The animals should be anesthetized whenever possible. Attempts to limit infections should be taken when appropriate. Researchers should also provide adequate post-operative care and monitoring. Animals should not be subjected to consecutive surgical procedures if avoidable. Finally, researchers must perform euthanasia in the manner most appropriate for the animals they have under their care. It should ensure instant death and cause a minimal amount of pain and suffering. Accommodations for lab animals should allow for continued physical and psychological health. One should always comply with applicable laws in their area, and bear in mind some of the following information. One should monitor variables in the micro-environment, as they can affect an animal's physiology, behavior, immune responses, etc. Temperature and humidity should be within acceptable ranges to maximize animal comfort and well-being. This applies to ventilation, air quality, light, sound, and vibrations as well. 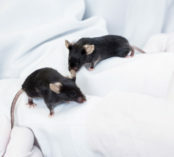 Mice require space to move and a variety of physical/mental/social stimulation to stay healthy. Researchers should enrich their animal housing with plenty of nourishment, along with a stable community and secondary structures that provide these much-needed requirements. Suitable enrichment can take the form of wooden chew sticks, elements of the environment that rodents can manipulate, and safe zones for them to retreat to in times of confusion. Contrary to the belief that such additions will compromise experimental data, the reduction of anxiety that these touches afford will increase the accuracy of test results. Additionally, the animal enclosure should be sturdy (no grids or wire floors), non-toxic, prevent animal escape, and limit accidental injury. Jagged edges, harsh angles, long drops, and areas in which animals can trap their appendages present a very clear danger that you should avoid. The tools used to perform your studies will exert some influence on the well-being of lab animals. Even common lab items, like mouse ear tags, for example. There are plenty of options available, but RapID Tags are a minimally invasive method. Unlike some methods, such as RFID, that researchers must implant via surgery, one can affix a RapID Tag to a rodent's ear without cutting the animals by way of a specialized applicator. Their simplicity and ease of use reduces the chance of misapplication. It also makes the tags easy to remove when the time comes. Best of all, they aren't complicated to master. RapID tags come with training materials allowing research staff to self-certify themselves on correct use. Any other equipment one uses to study animals should follow a similar principle of nullifying the amount of displeasure that animals must endure. This primer should serve as an excellent starting point. 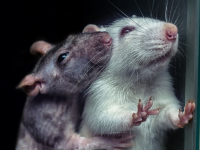 From here, one may want to start investigating lab animal ethics in greater detail and learn all of the best practices for maintaining healthy rodents. There are plenty of resources to turn to for more information, including the Animal Welfare Act information page, the Association For The Assessment And Accreditation Of Laboratory Animal Care, and the Guide For The Care And Use Of Laboratory Animals, published by the National Academy Of Sciences.